Returning Camp Loyaltown counselor and unit head Bianca Rinaldi has been selected to be a Camp America storyteller this year! Be sure to follow along with her on Instagram @bianc_rinaldi to get another perspective on life at camp! 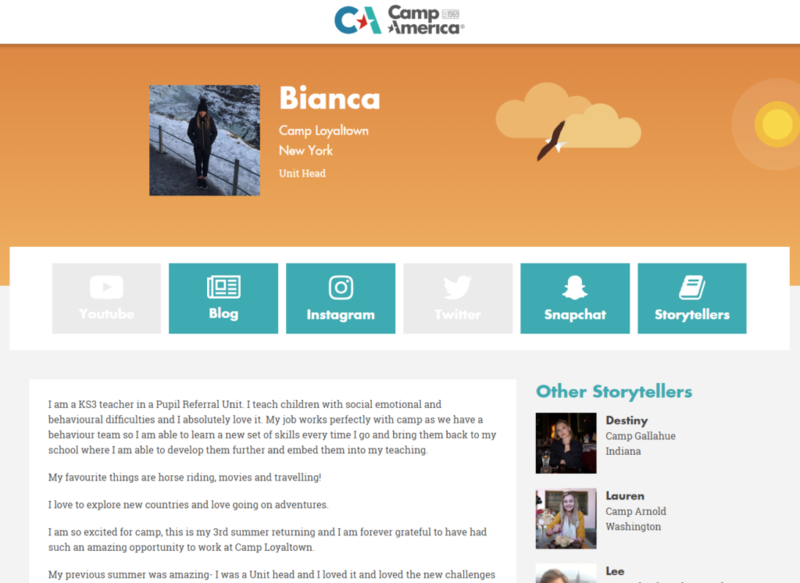 To learn more about Bianca, click here and read her Camp America profile.